Minnesota Churches of God Conference - Various Articles -The Animal that Doesn't Exist? The Animal that Doesn't Exist? Have you ever heard of the Okapi? It has been described as a horse/zebra/giraffe. 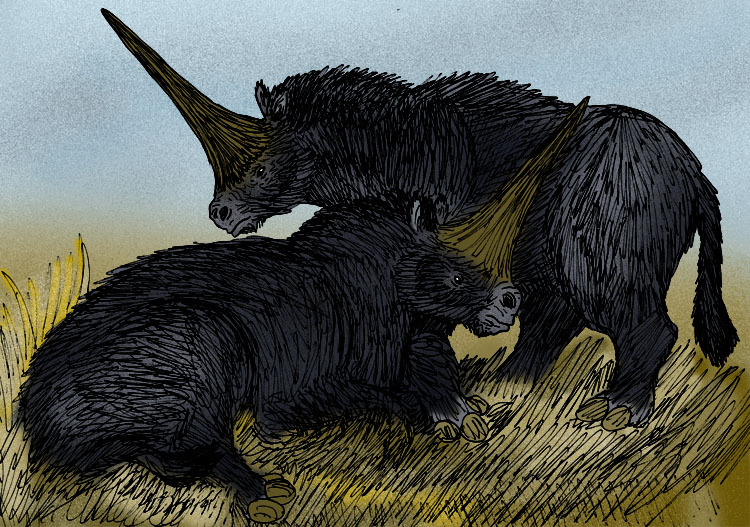 While it was known about for a long time, scientists said it wasn’t a real animal and called it the African Unicorn, meaning just a tall story. In the early 1900’s, Sir Harry Johnston was given a hide by a pygmy tribe, which kicked off current research. They are found in the wild of the Republic of Congo as well as zoos, where my wife Denise, has ran across them. 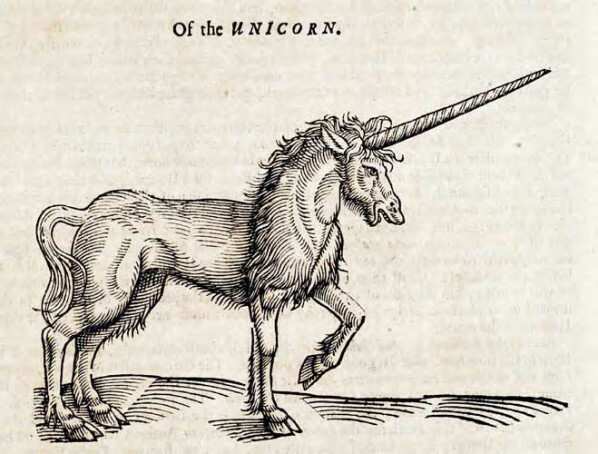 We mentioned the unicorn, basically a horse with a horn, right? Except in European tradition, it's not exactly a horse, and among other things should have a goat tail and cloven hooves. Anyway, except for the single horn, not a lot of similarity. In 2012, North Korea said they found the location of a unicorn lair, likely the one ridden by King Dongmeyeong of Goguryeo, an ancient Korean Kingdom. Images of this started appearing… people laughed. The new leader of North Korea was just trying to impress people too hard and prove he lived near the ancient capital. After all unicorns never existed, right? Job here it is giving the attributes of a unicorn. Untrainable, very strong. Attributes echoed from the earlier verses. Notice that I have been reading from the King James version. More modern versions of the Bible don’t want to talk about unicorns, so they changed it to oxen. Strong’s Concordance does say that the exact meaning is no longer known. just to name two other single horned animals. 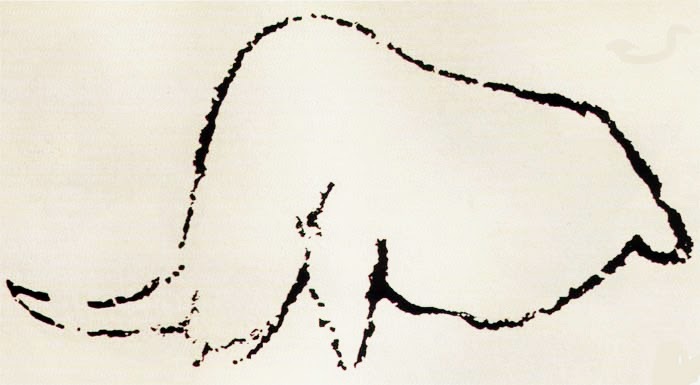 Eighteenth century reports from southern Africa described rock drawings and eyewitness accounts of fierce, single-horned, equine-like animals. One such report describes “a single horn, directly in front, about as long as one’s arm, and at the base about as thick. . . . [It] had a sharp point"
Many have heard of Marco Polo, who traveled to the far east in the 12th century. Egyptian carvings also show animals with one horn. Some people have also thought it could be the Monoclonius, a triceratops-like dinosaur with one horn. The lesson here is just because we don’t know about an animal does not mean it never existed. The scientists that said the Okapi didn’t exist, were proven dead wrong. We know we can trust the bible, so while we have never seen a unicorn, we can believe they did exist in some form.